The Willowbank resource Centre in Dungannon in cooperation with the Craic Theatre Coalisland are involved with the production of a number of short training DVD’s aimed at social workers. This is the cast Peter Donnelly, John Ryan (Facilitator) Alice Campbell, Seamus McKenna, Michael Hughes and Catherine McCrory (Project Coordinator). 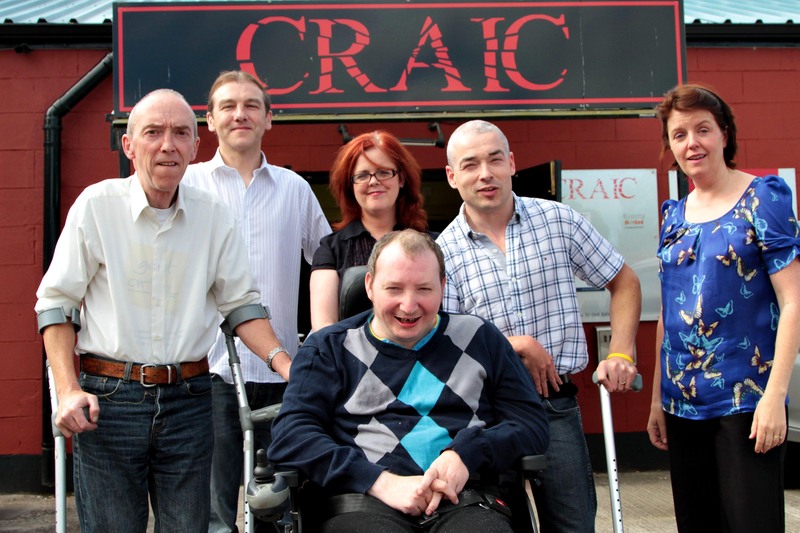 Willowbank is a local charity, based on the Carland Road, Dungannon, which is used by physically disabled adults from the local community. Founded in 1962 the organisation has its roots in the Civil Rights movement with many of the founding members already seasoned community activists at this time. This rights based ethos of social justice and socio- economic inclusion was and remains the corner stone of the organisations work.